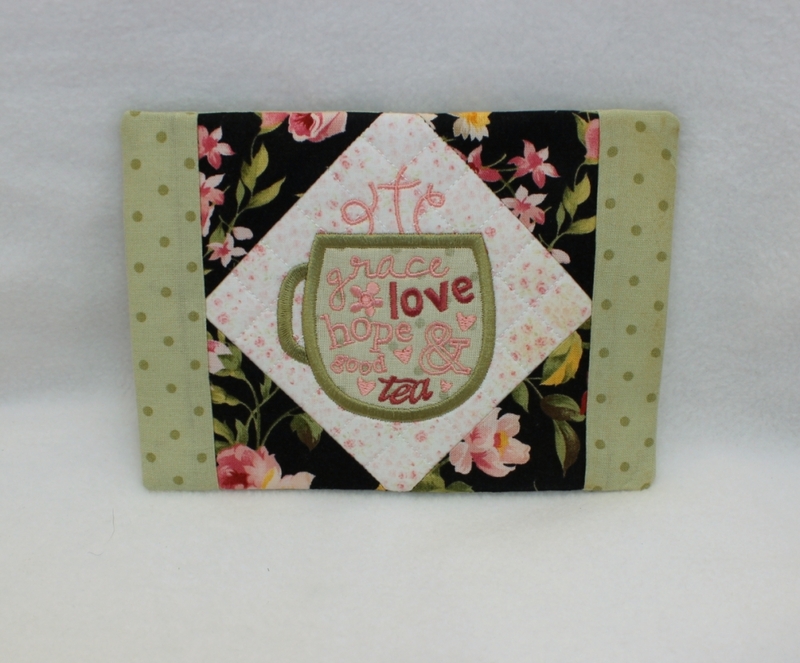 This mug rug is entirely constructed in the hoop, the quilting stitches are geometrical and the pieced corners and border strips are applied during the applique process. Thorough and detailed instructions as well as many photos guide you through the process of making these. 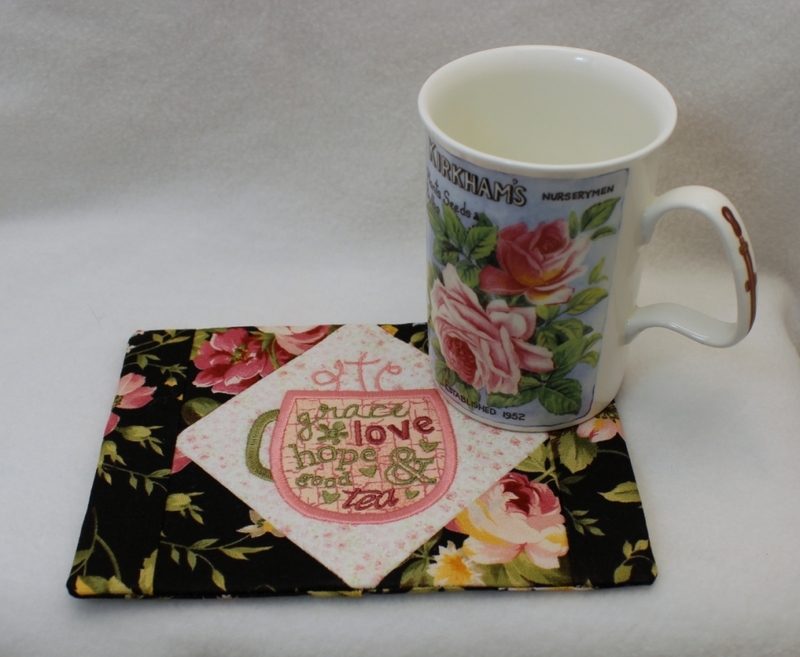 Also included in your zip is a plain mug rug, without the center design, for you to showcase a special fabric of your choosing. There are a total of 2 stitch files in your download. 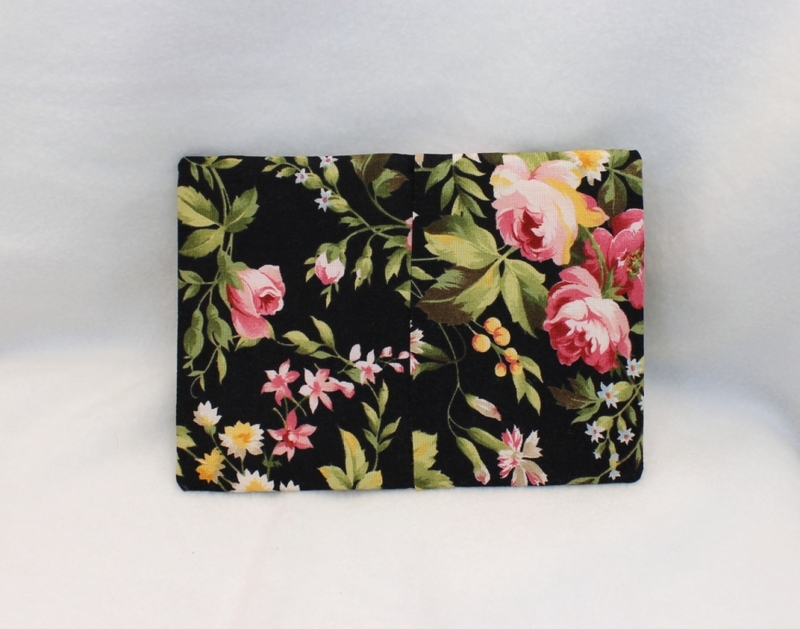 No hand or machine sewing required. 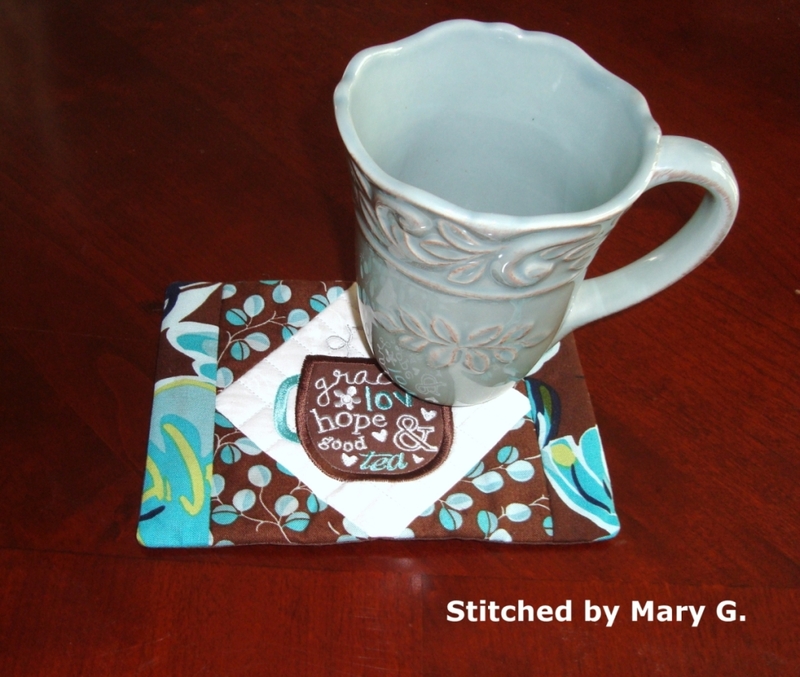 You will also find a guide to fabric choice for this mug rug. Also included is a small printable card explaining what a mug rug is and how to launder it. 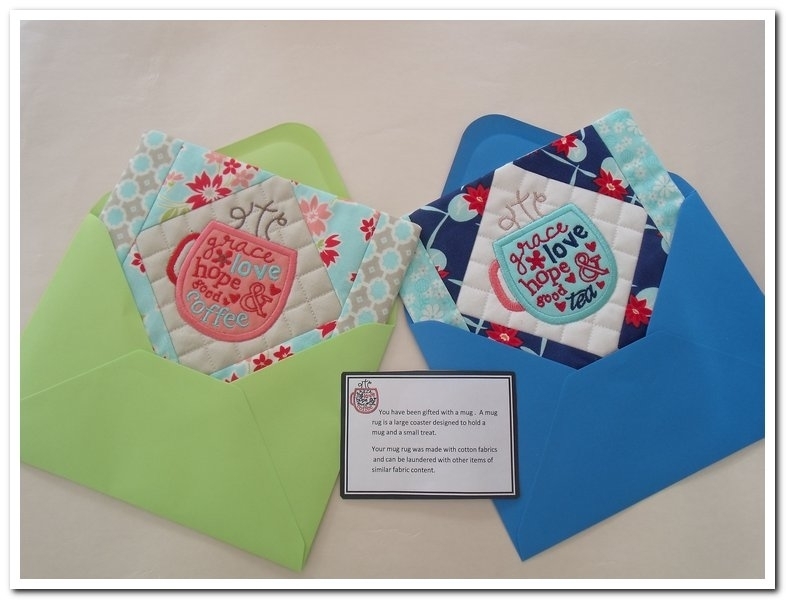 This mug rug is entirely constructed in the hoop, the quilting stitches are geometrical and the pieced corners and border strips are applied during the applique process. Thorough and detailed instructions as well as many photos guide you through the process of making these. 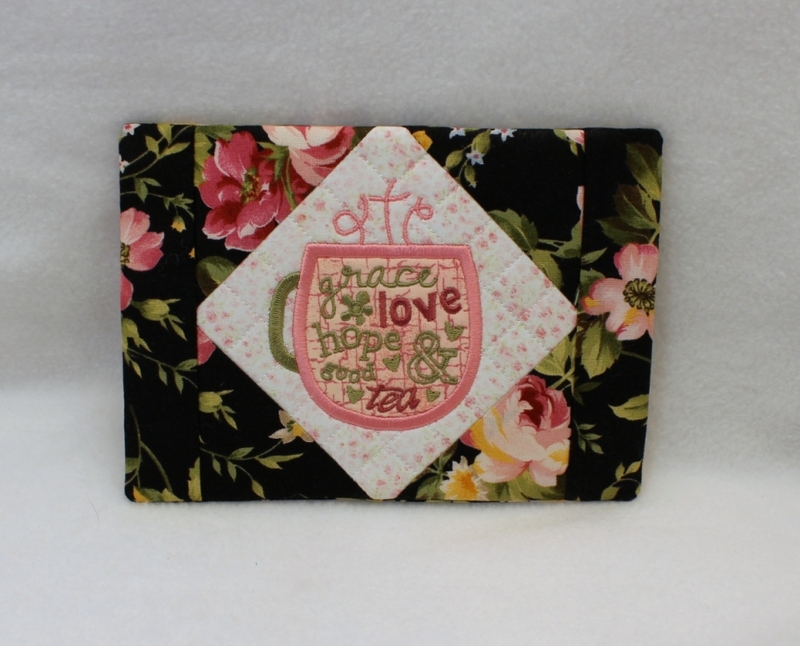 Also included in your zip is a plain mug rug, without the center design, for you to showcase a special fabric of your choosing. There are a total of 2 stitch files in your download. No hand or machine sewing required. 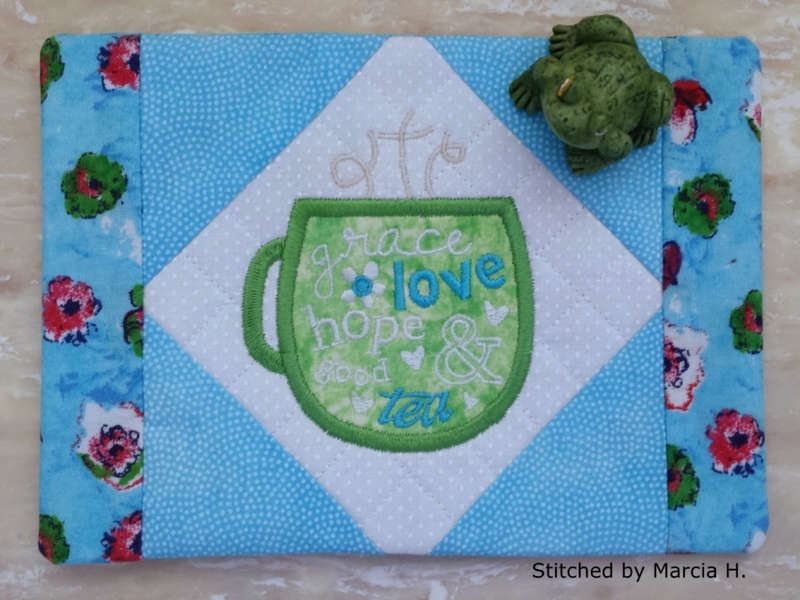 You will also find a guide to fabric choice for this mug rug. Also included is a small printable card explaining what a mug rug is and how to launder it. 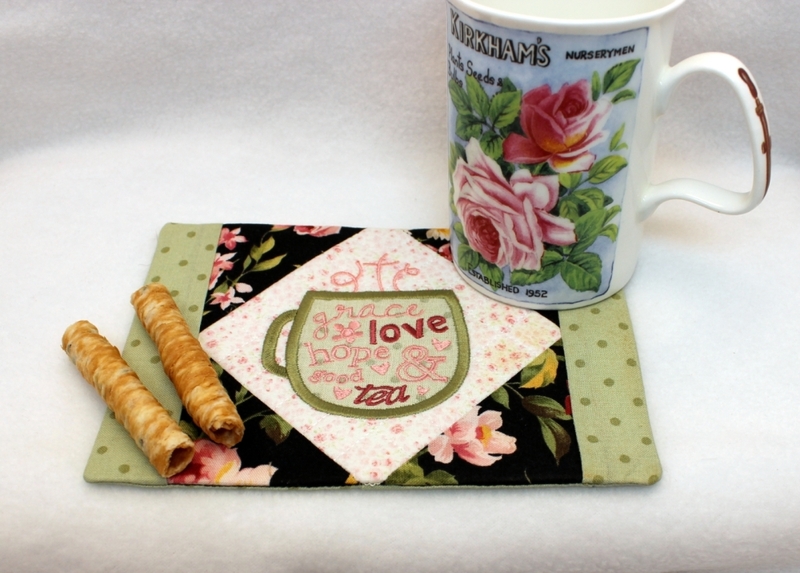 Please note: The tea mug rug art was adapted from the original art work, with artist’s permission. Visit Emily’s site for coordinating inspirational wall art.